Just made myself a Blackberry smoothie very yummy indeed,anyone else on here hv them i surpose u men don't u rather hv a beer. Heres the photo getting carried away. P38, sako75, veitnamcam and 3 others like this. Do you soak your blackberries overnight? I got told to after I made some jam one day. P38 and mrs dundee like this. no just chuck them him. Apparently the blackberries have little worms in them, doesnt bother me none. 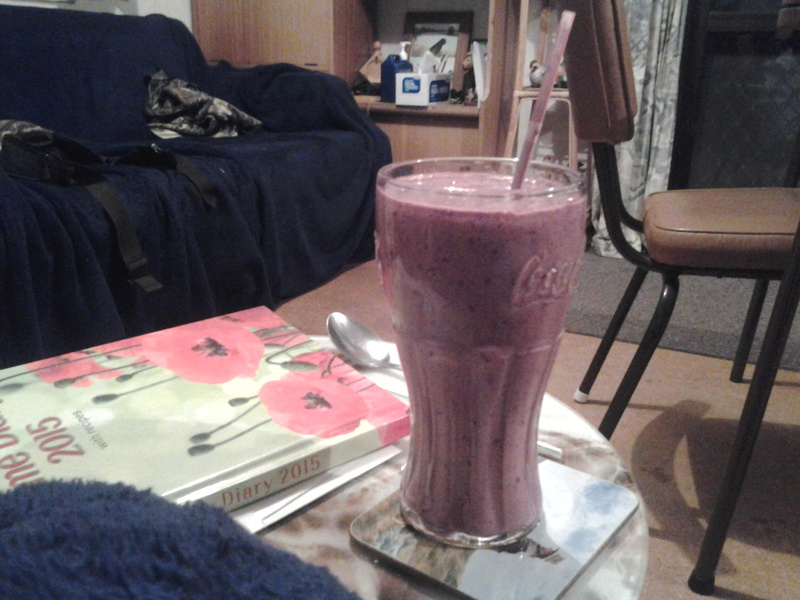 Mango or Blueberry smoothie are my favourites Mrs D.
Blackberries packed with protein ........ probably a near perfect food. I pick wild Blackberries every year, never been bothered by and worms either. Yea I smash the smoothies out, Kale/kiwi fruit/spinage/bananas/berries/grapes/apple/water. Gotta use ripe fruit to make them real good. My wife just bought a 'Vitamix'. I'm going to buy shares in 'Dole' with the amount of Pineapple we're going through now to recoup some of our losses. Munsey and mrs dundee like this.